LuLu is 100% Dupioni Silk with fully pin-tucked bodice and hem and a fully lined with tulle underskirt for magnificent twirls. 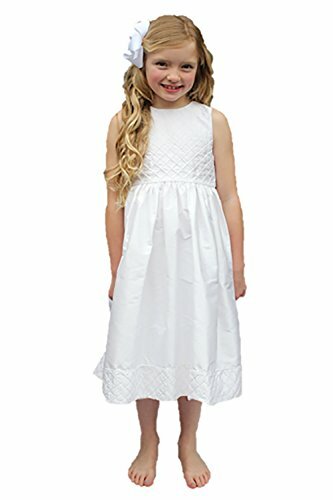 Strasburg Children is a clothing brand crafting handmade 100% Dupioni Silk and cotton hand smocked and embroidered heirloom dresses, shoes and other accessories for girls. Like all Strasburg Children dresses, this dress is fully lined and features fabric covered buttons, hand embroidery and hand smocking, and French seams. Strasburg Children has been crafting clothes for kids for decades and continues to produce only heirloom quality clothing meant to be passed down for generations. "Because every little girl deserves to feel like a princess..."
Tulle Underskirt and Interior Lining for the perfect twirls!